BoB is back in 2013 with another exciting Ensemble in Residence series. In their first concert we explore the seasons of North and South America through works by John Stevens and Astor Piazzolla. Experience spring, summer, autumn and winter in Wisconsin and Buenos Aires, from the chilling winds of the North to the tropical climate of the South, all in our favourite shade of colour: brass! 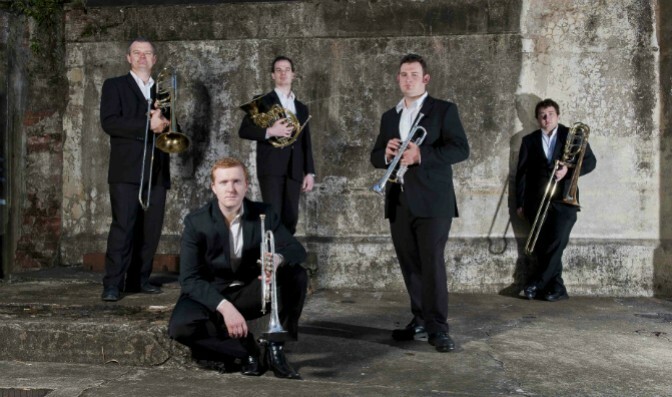 BoB (Best of Brass) is a Brisbane based brass ensemble including Bob Schultz (trumpet), Nathan Schilling (trumpet), Armin Terzer (horn), Greg Aitken (trombone), and Matthew McGeachin (bass trombone). This Brisbane ensemble combines the diverse experience of five masters of brass who between them have a wealth of experience including international, national and state orchestras, and jazz, latin and brass bands. They play an eclectic brass ensemble repertoire from renaissance to present-day music.